Reupholster – Cushions and padding fades in the sun, and the more hours of direct sunlight your patio gets, the more faded your upholstered furniture will become. New cushions and pads in a bold, new fabric will definitely give your furniture a new look. Re-stain – Hardwoods such as teak make great outdoor furniture, but every so often they need to have oil or a new stain applied in order to keep them in good shape. Even if you prefer for your teak to have that silver, weather-worn look, it will still benefit from a good sanding. Paint – A fresh coat of paint can give nearly anything a facelift. Furthermore, paint technology has advanced considerably in recent years, and you can find specialized coatings to resist rust or mildew or which have UV protection, and other features that make it great for outdoor furniture. Repair – Wicker comes undone, legs become uneven or wobbly, hardware gets rusty, cracks appear, water damage occurs, and other countless issues can befall your outdoor furniture. A simple repair may mean you get to enjoy the piece more than ever. Accessorize – Add colorful accessories to your outdoor seating. 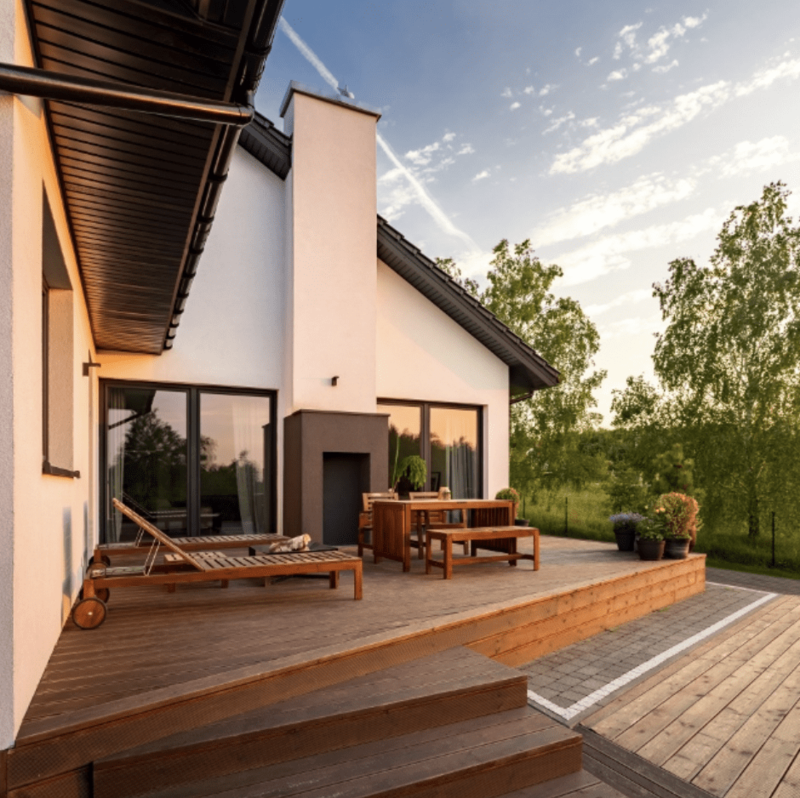 Add bold and bright throw pillows or a new umbrella, and you deck or porch can become your family’s new favorite hangout. Clean – Often something as simple as a thorough washing can refresh your patio furniture. With the right cleaning solutions and a little “elbow grease,” you can get your outdoor table and chairs or other furniture ready to enjoy for the remainder of the nice weather. Give your outdoor furniture the attention it needs to stay in good shape, and you’ll be able to enjoy it for many days to come. However, if you’re not sure how to make the repair needed, feel uneasy applying the right stain, or just don’t have the time to give your deck chairs and patio furniture the attention they need, call on a good local furniture refinishing company. Jax Furniture Refinishing & Upholstering is the best furniture restoration shop Jacksonville, Riverside, San Marco, and Atlantic Beach homeowners call for their furniture needs. We specialize in repairs, restoration, and reupholstering, and would love to help you create the look you’re dreaming of for your outdoor furniture.